Improved design incorporates dual bearings on the pulley to better handle increased torque without heating belts. Designed to provide a solution for mildy tuned 6.5hp style engines without governors where power is increased to approximately 10hp. This version includes a driver that is designed to take the added punishment of the 10hp ENCLST1 CPR engine. 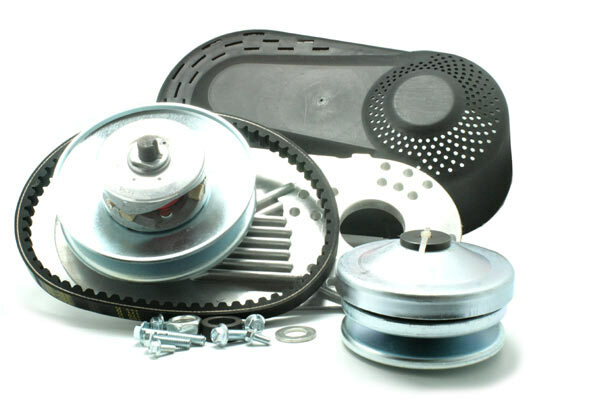 Want to learn how to install a torque converter and find dimensions of our unit? Have a look at our install guide here. 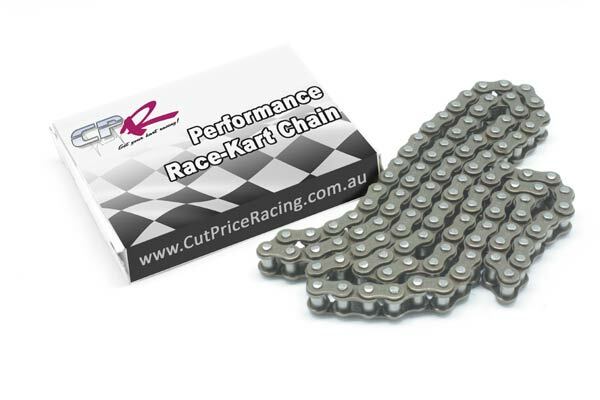 Now with FREE #35 Chain and #35 sprocket of your choice! Supplied with #35 12T and 420P 10T so that you can opt for either pitch. Great for those of you with 'drift' karts which are difficult to convert to #35. 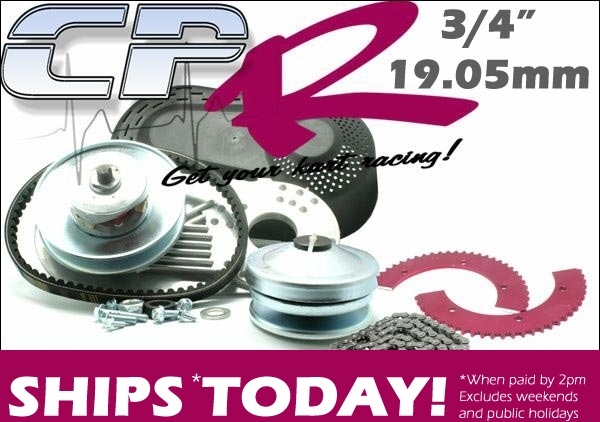 Don't get stuck without gearing options running #40 or 420P sprockets, our #35 torque converter instantly provides you with access to our full #35 split sprocket range for the best gearing options available! 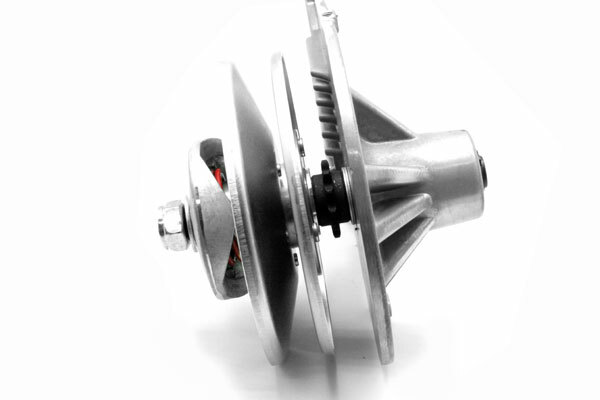 35 Pitch Torque Converter suit 4-stroke. Suits Standard 19.05mm Drive Shaft (3/4") (straight shaft) and ~5mm keyway as used on most 6.5hp engines. 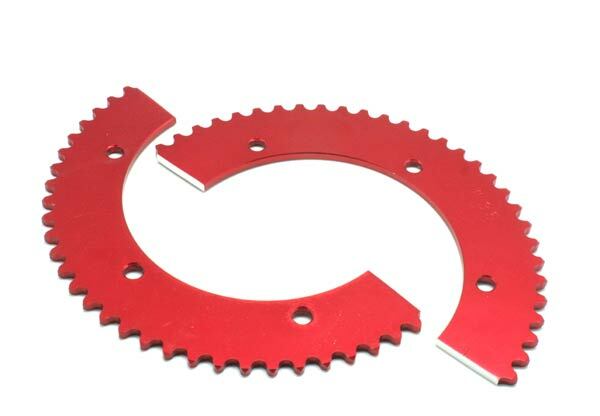 Includes #35 12T drive sprocket so you have the best range of gearing available. **Now shipped with 420P 10T sprocket as well. Complete unit with everything required to fit - includes belt, drives, mounting plate, sprocket and cover. All you need is a rear sprocket and a chain to get mobile! 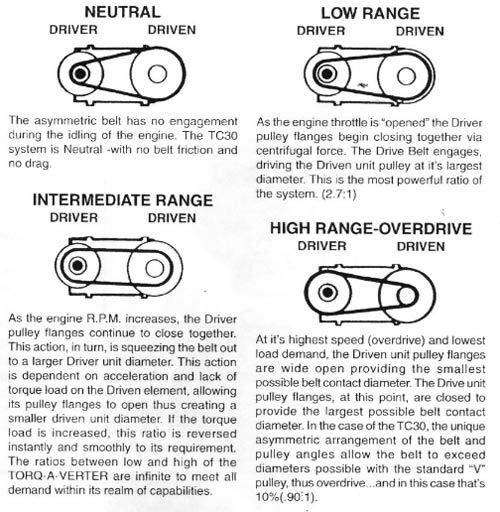 Expect approximately 2.7:1 initial reduction of your gear ratio upon take-off, then the torque converter will progressively move through to a final drive of approximately 0.90:1 (overdriven) at full speed. This allows use of taller gearing on the rear without acceleration issues.